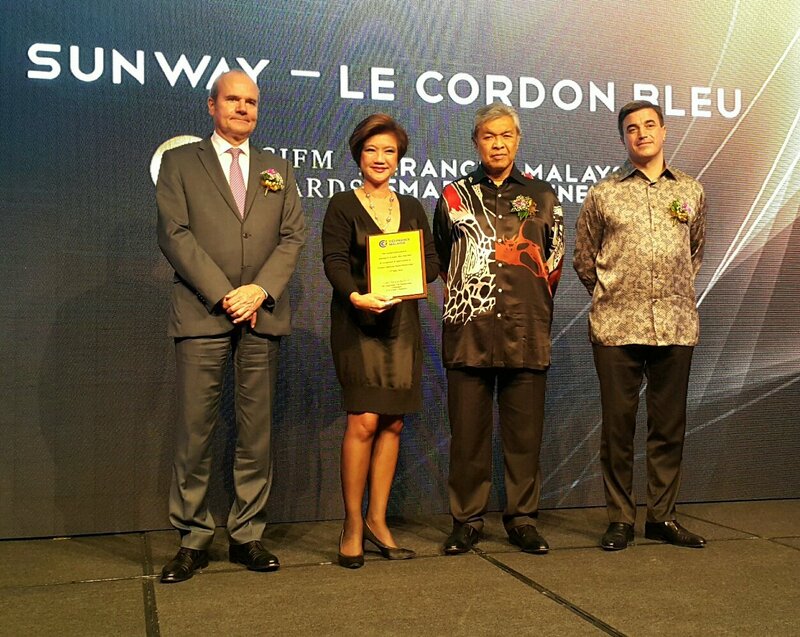 Sunway Le Cordon Bleu solidifies its status as a regional culinary powerhouse by winning the France-Malaysia Smart Partnership Award at the Chamber Commerce of Industry France Malaysia (CCIFM) 26th Gala Dinner. The France-Malaysia Smart Partnership Award recognises a successful joint venture between a Malaysian and a French company. The CCIFM Excellence Awards aims to encourage the continuous innovation and creativity of French and Malaysian companies to enhance global competitiveness and their contribution towards bilateral trade between France and Malaysia. The accolade came on the heels of Sunway Le Cordon Bleu’s recent achievement of the Best Culinary Institute (Regional) at the World Gourmet Summit Award of Excellence in Singapore in the month of April.